During September, Recovery Awareness Month, Manhattan Marriage and Family Therapy will bring you the information and the tools to help you change your bad habits and nip the prospect of facing a full-blown addiction in the bud. Addiction, Compulsion, or Bad Habit? Not every problem behavior is an addiction. Some are habits developed over time as coping mechanisms, out of comfort or convenience, or as manifestations of undesirable character traits. Where is the line between a bad habit and addiction, and how do we stay on the right side of that line? We explore the distinction in this blog post co-written with Caron Foundation's Daniel Debiec. Designed to support recovering addicts and their families in the time of need, these handy pocket cards are available as hard copies (free) at Manhattan Marriage and Family Therapy's Midtown NYC office or as a free printable download below. Alcoholics Anonymous. 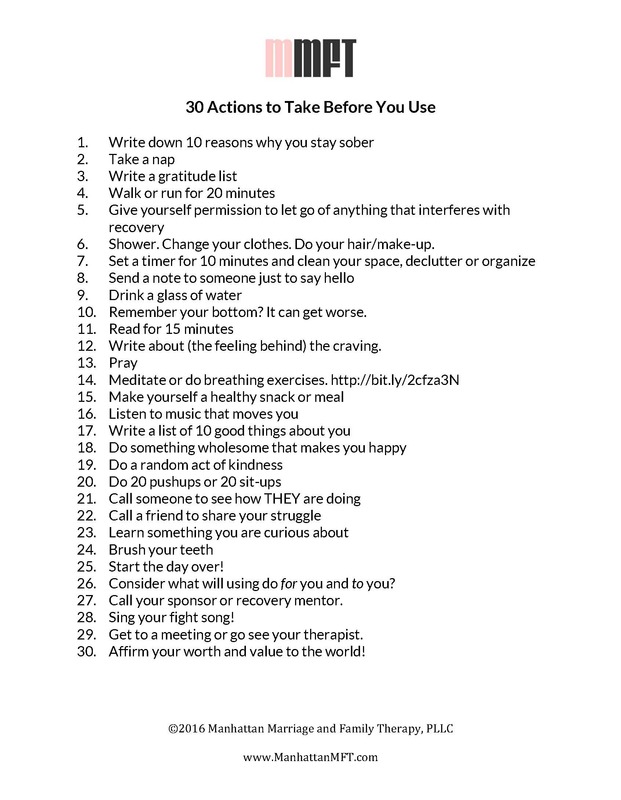 Recovery for those who wish to stop drinking. Al-Anon. 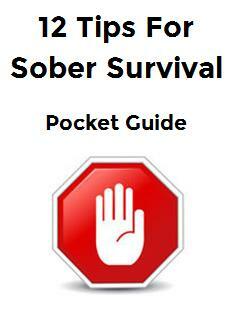 Recovery for families and friends of Alcoholics. Overeaters Anonymous. Recovery from food addiction. Gamblers Anonymous. Recovery from addiction to gambling. Excellent programs for adults and adolescents. They have a beautiful office in Chelsea and a ton of services for substance abuse treatment. Shatterproof is a national non-profit organization committed to protecting loved ones from addiction. They educate families, human services providers, educators, and others about the warning signs of addiction and how to respond. They also advocate on a legislative level for issues related to addiction and crisis such as how EMS respond to overdose calls. Finally, Shatterproof offers events for people to raise money to put towards addiction research.